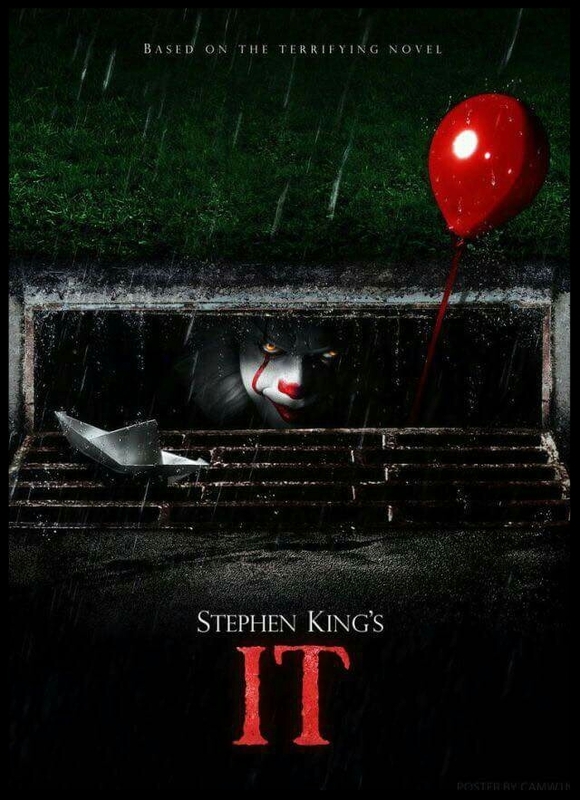 This weekend, gorehounds and cinephiles alike will be flocking to the theaters for the release of this summer’s hotly anticipated film, It. Fans of the original have been gritting their teeth in hopeful trepidation, wondering if this remake of the 1990 Horror miniseries will be worth the price of admission. Worry not, moviegoers, this reviewer was pleasantly surprised. The film centers around seven kids who decide to investigate a string of supernatural disappearances in their small town of Derry. Unlike the original film, which spliced the two main story lines together, this one focuses solely the children’s experience, allowing the film to accentuate the coming-of-age camaraderie. There are rumors that the sequel will cover their return to Derry as adults. The vast majority of horror remakes are little more than uninspired tripe that one director regurgitated in an attempt to jump on a predecessor’s cash flow. This one, however was everything a remake should be: an adaptation that not only pays due homage to its forebearers, but also manages to liven and expand upon the source material, differentiating itself from any previous versions. This film has guaranteed Pennywise the clown a place in the nightmares of yet another few generations of fans. This version is exactly the face lift that the story needed. The effects are jaw-dropping and manage to accurately portray a child’s perspective of fear. The pacing issues that plagued the 1990’s version have been rectified, and despite the film being a daunting 2 hours and 15 minutes long, I found my self mentally and visually engaged throughout the entire duration. The coming of age feel has been upgraded, giving the entire franchise a much needed boost out of the 90’s and into the current age of horror. What once felt like a slow burn “Stand by Me,” now rings more like “Stranger Things.” Any horror movie that inspires me to cautiously close all the doors in my apartment before trying to sleep is definitely something special. The characters are brilliant, and the excellent acting is only aided by the witty, no-holds-barred dialogue that permeates film. Rather than just feeling like ‘meddling kids,’ the characters have their own strong backgrounds, which allows them to noticeably grow and change throughout the film. Bill Skarsgård (Hemlock Grove) was phenomenal, an impressive feat when he had the precarious job of following in Tim Curry’s over-sized clown shoes as Pennywise. He brought a whimsical terror to the character and certainly made the roll his own. The R rating also allowed for an uncomfortable brutality in the film that was only hinted at in the original. It was refreshing to see a scary movie about kids that didn’t shy away from the horror aspect like many of them tend to. There is ample blood and terror, which allows the film to pack more of a punch. Andy Muschietti’s It manages to stand on its own two feet. It’s a gorgeous film, bursting with wit, horror, and blood, and it left me craving more. I would happily recommend it to anyone, old or new fan alike. Jaden spends most of her time curating a diet of horror and coffee in the dark cave that she lovingly calls an apartment. She likes movies, tv, anime, and games, particularly of the horror genre’. She’s the creator or Reprobate Reviews, and an aspiring horror novelist.